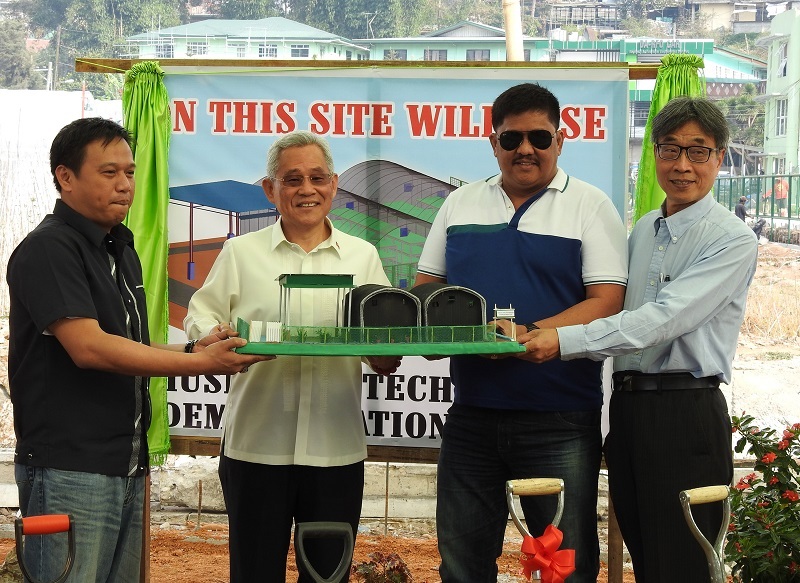 Under the accord, Taiwan Agricultural Research Institute under the Cabinet-level Council of Agriculture and the Bureau of Plant Industry under the Philippines Department of Agriculture will jointly operate a mushroom demonstration farm in the Southeast Asian nation’s Baguio city. Officials broke ground on the training facility the same day, with the site scheduled to open in June. The pact was signed by Taipei Economic and Cultural Office in the Philippines Representative Hsu Pei-yung and Angelito Tan Banayo, head of Manila Economic and Cultural Office in Taiwan. Also in attendance were TARI Director General Chen Junne-jih, BPI Director George Culaste and DA Undersecretary Ariel Cayanan. Chen said that the demo farm grew out of discussions at the seventh Taiwan-Philippines Agricultural Cooperation Meeting staged last year. Increasing mushroom cultivation can provide abundant employment opportunities in the region, as harvesting the fungi is a labor-intensive process, he added. According to the COA, the facility is a win-win for the agricultural industries of both sides, as it can help reduce the Philippines’ dependence on mushroom imports and bolster Taiwan farming equipment exports. Introducing Taiwan-developed mushroom varieties to the Philippine market will also help raise international awareness of the nation’s agricultural prowess and unique offerings, the council said. This will be the second demonstration farm set up in a Southeast Asian nation under the NSP, following the launch of a multifunctional training facility in Indonesia’s Karawang city last year, according to the COA.